The Video Recorder Audio Adapter allows you to record all transmissions (local and remote) from the aircraft intercom system to your external GoPro HERO 5, HERO 6, or HERO 7 Black Video Camera.. It's great for creating your own aerial videos without excess cabin noise. It will record all of the audio transmitted through the intercom system, including in-cabin audio and ATC transmissions. This is a special adapter made exclusively for use with the GoPro HERO 5, HERO 5 Session, HERO 6, or HERO 7 Black. The GoPro Hero 5, 6, and 7 Black use a USB-C connector for audio instead of the Mini USB or 3.5 mm jacks found on previous generation GoPro's. 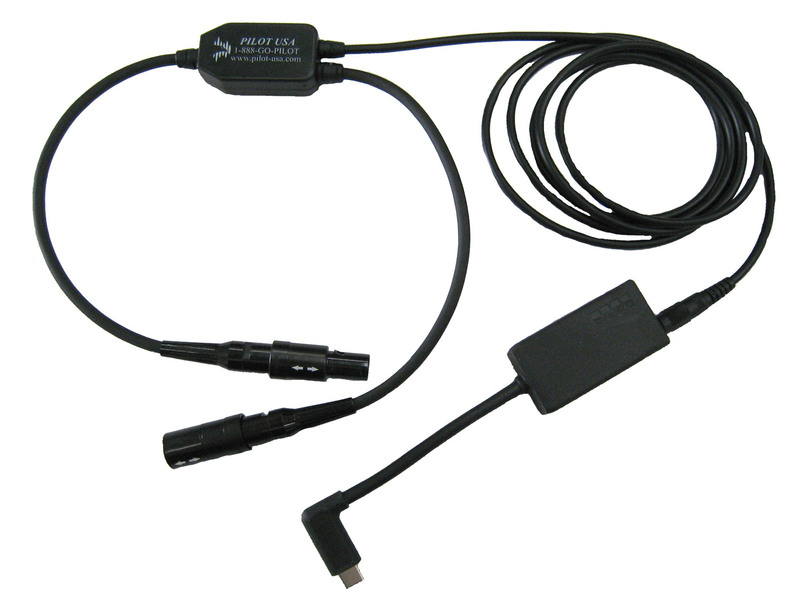 If you are using a previous generation GoPro, we have the other GoPro Audio Adapters here. For use with Panel Powered headsets utilizing the 6 Pin Lemo/Redel connector such as the Bose X, Bose A20, or Lightspeed Zulu Panel Power versions. Length: 5 foot. Also available for fixed wing or helicopters.